To exit item creation mode, press Esc or use the keyboard shortcut again. 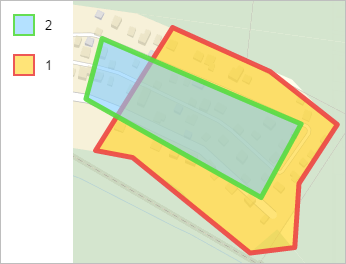 Completes the process of drawing the map item and opens the form that lets you assign parameter values to it (you can alternately do this by selecting Finish from the context menu or double-clicking on the item while creating it). 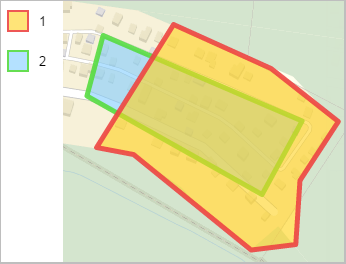 Items are displayed on the map in the following order: placemarks are displayed “higher” than lines and may cover them. Likewise, lines are higher than polygons. 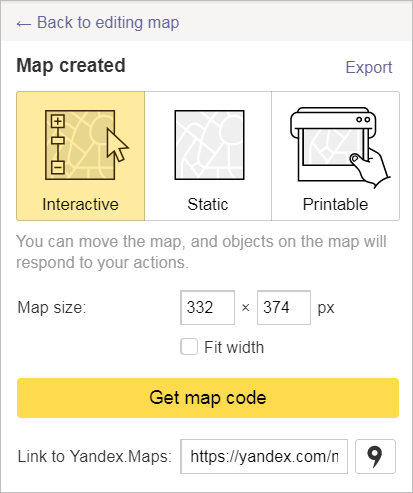 You can change the order in which items are displayed within every category. 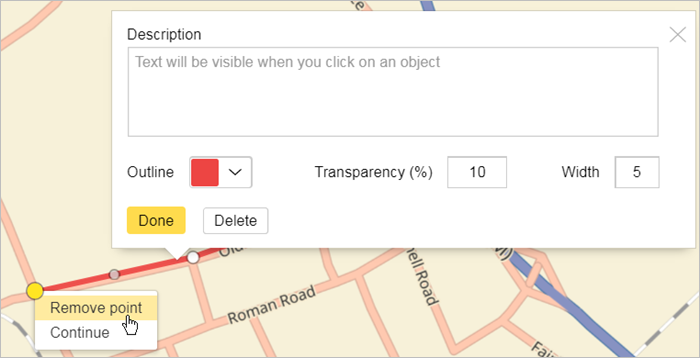 You can also drag an item (placemark, line or polygon) to the appropriate position in the item list.